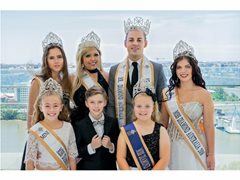 The time to be a part of Australia's biggest and fastest growing pageant system - this year hosted at the impressive Emporium Hotel in Brisbane. Take part in the weekend of a lifetime with an itinerary of fun, exciting and memorable events including a river boat party! Make lifelong friends, boost confidence and have a once in a lifetime experience. Miss Diamond Australia is unique and unlike any other pageant - we celebrate the beauty and diversity of every individual. We have no height, weight, size or ethnic restrictions - we love you for who YOU are! So... what are you waiting for? Let the journey of a lifetime begin!